Grace is not "a" way of escape in every trial, it's THE way of escape. It's God's grace that provides an underlying current for you to rest upon, a current that will and will take you out of every trial. He doesn't bring your problems, on the contrary, He carries you out of them. As the “Year of Great Change”, it’s important to remember to seek the “Changer” and not the changes. The change God wants to do in all of us is in our soul, by His Spirit, from the inside out. This step by step teaching from Pastor Joe takes you through a self-aware, candid, raw process of change, real change. One of his best teachings by far. 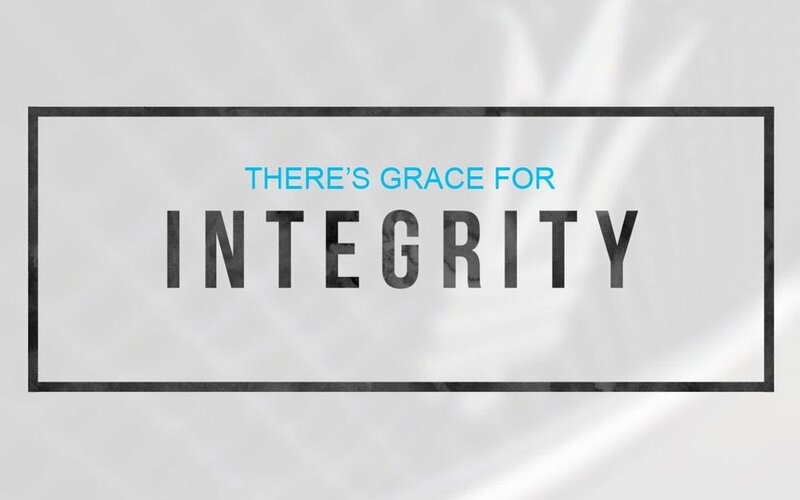 Take a journey with our guest speaker, Hilari Luck, as she walks through the three phases of integrity. God’s desire for all of us is growth in His Word. Why? Because growth in the Word develops the integrity that’s already resident on the inside of our born again spirit. And integrity is the key to living a life that reflects His Word to others around us. When it comes to Biblical prosperity, there are two kinds of Christians…people that are prosperous and know it. and people that are prosperous and don’t know it. Which one are you? God wants us to launch out into the deep regarding our giving, to go beyond and further than ever before. You are going to be so blessed by this message from Pastor Joe as he shares from 2 Corinthians 8:3 (Amplified Classic Bible), and Nehemiah 2:18. Are you ready for change? Meaningful and lasting change? GREAT change? As demonstrated in John 2 when Jesus performed His first miracle. In a millisecond water was turned into the best wine, that’s a picture of your life. 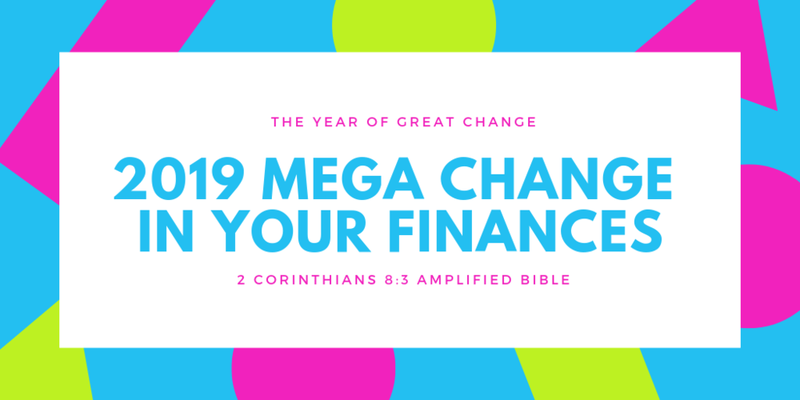 Enjoy this message as Pastor Joe shares the vision for 2019 - The Year of Great Change! Go to the 2019 Vision page for Part II. Jesus Himself said in Matthew 10:34-36 that He was not sent to bring peace on the earth among people. The peace that the angels were praising God for in Luke 2:13-14 was peace between God and man. They were announcing the end of God’s war on sin. Peace now reigns between God and man. The vision for 2018 is "Jesus Our Jubilee". Pastor Joe follows up to see how this has manifested in your life. Have you seen your family restored, your finances restored, your health, and all that has been lost or stolen in your life. As you walk with Jesus, there is a burning that happens in your heart when He imparts the Word to you. There is an understanding like no other regarding every day issues and getting along with others. Pastor Joe shares very practical insights as to how to overcome offenses…but first he opens with an update on his first month attending the Global Outreach Program at Charis Bible College. Everything that you need is inside of you, in your born again spirit. There are rivers of living water bubbling within, the power of the Holy Spirit, according to John 7:38. This message is a word in season, a prophetic message regarding your ability to release the flow of all that's yours into your current situation and into your future. It's truly powerful. God wants us to listen to His voice, and let go of the fears and things that are trying to obstruct us in the areas that God is specifically speaking to us. We've put up roadblocks, while at the same time, there is a blessing on the other side waiting for us. This is a timely word from Pastor Joe for those who are believing God for change in their lives, and the fulfillment of His will. No matter where you are in life right now, God wants to paint a bigger picture in your mind regarding His plans and purposes for you. It's time to take the limits off of God and what His Word says about you. Listen to this compelling message and start taking the limits off today! What makes the difference between just knowing God's Word, and experiencing God's Word in your life? How do you release the favor of God from the inside out? Excellent questions. Join Pastor Joe as he shares simple principles in releasing God's favor in your life. 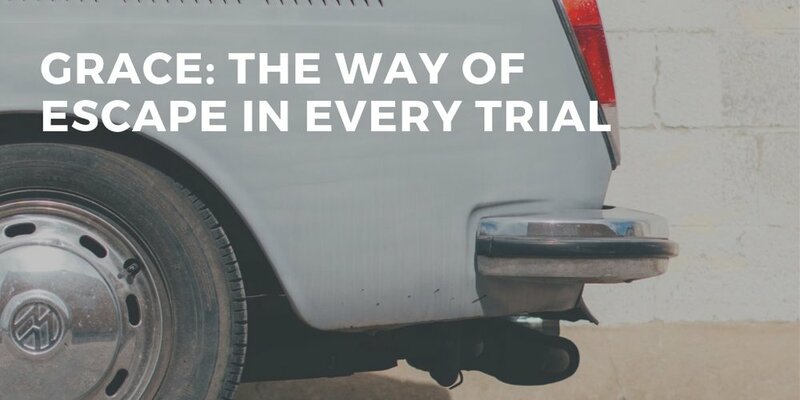 Join us on this journey through the book of Acts, as Pastor Joe describes how the life of a Christian is remarkably different than people in the world. We have the same power in us that raised Jesus from the dead for a specific purpose...to do the works that He did and even greater works through the power of the Holy Spirit. We are called to live a supernatural life. What does the resurrection mean for us today? What happened on the cross that will make a difference in our everyday lives? Pastor Joe shares the answers to these questions and many more powerful truths from God's Word about the risen Christ. Natalie shares 31 confessions from the book by Joel Osteen, I Declare! What an encouragement and a reminder of how to use your mountain-moving faith. Follow along and speak faith over every circumstance of your life. God placed potential on the inside of every one of us for a purpose, to touch others. There is dormant ability, untapped strengths, and hidden talents in you that are waiting to be developed. Are you ready to work out what God has worked in to you? Pastor Joe shares in this life changing message the process of revealing and releasing you in the direction of your destiny. Pastor Joe shares the Purpose, Vision and Mission that God has given to this local church...the why, what and how of Faith Fellowship Ministries. Every church is unique in its mandate and calling. Find out the strategic plan that God has for FFM and how He has called us to minister to the people in South Jersey. Jesus is our Jubilee! Jesus fulfilled every old testament promise regarding the year of Jubilee, the 50th year on the Jewish calendar when all debts are released, all family members restored, and everything that was stolen or lost was returned. This is ours now! In this Vision 2018 message, Pastor Joe opens the scriptures to share these simple but powerful truths in detail. We all have relationships, but are they healthy? Are they godly? Do you handle conflict the Bible way? It's possible to have healthy, godly relationships when we follow God's Word and His simple principles for getting along. We were wired for relationship, it's how we connect, love, build and accomplish. Pastor Joe shares in this insightful message from God's Word how to truly enjoy the people around you. "The virgin will conceive and give birth to a son, and they will call him Immanuel" (which means "God with us") Matthew 1:23. Enjoy this encouraging Christmas Eve message from Pastor Joe as he reminds us of our covenant with Jesus, who will never leave us or forsake us. Why is it that we continue to look for change on the outside when real and lasting change starts on the inside? On the inside, by the Holy Spirit. When we pray in tongues, we are praying the perfect will of God for our lives. He reveals things to us that get to the root of every destructive issue and habit in our lives. Issues that are holding us back from the hundredfold life. If you fed up with trying to change yourself and are ready to do it God's way, you will truly be blessed by this message from the Word of God. Pastor Joe explains these two scriptures in a way that will revolutionize your marriage...“Submitting yourselves one to another in the fear of God” Ephesians 5:21, and “Nevertheless let every one of you in particular so love his wife even as himself; and the wife see that she reverence her husband” Ephesians 5:33. According to 1 John 1:2, our lives will prosper AS our soul prospers. What does it mean to have a prosperous soul? How do we have a prosperous soul? Great questions! Find the answers in this series and so much more. It's time to start clearing the clutter in your mind and learn what God has to say about His plan for your everyday life. "But ye shall receive power, after that the Holy Ghost is come upon you: and ye shall be witnesses unto Me..." Acts 1:8. There can only be one explanation for the transformation that took place in the disciples after Pentecost - boldly witnessing, powerfully preaching the Gospel, doing mighty works, and fearlessly facing persecution and death - the baptism of the Holy Spirit! Explore the difference that speaking in tongues makes on a believer's life, and get ready for a greater outpouring of His power to be an effective witness for Christ. There is power in partnership! For example: the same grace that's on the ministry that you sow your seed into, is on you. This is just one of four benefits of partnership that Pastor Joe shares in this message from Paul's letter to the Philippians. So many people want to know the works and the power of the Holy Spirit without first getting to know Him as a Person. As God. Listen as Natalie introduces you, or re-introduces you to the Holy Spirit, your permanent and constant friend and companion. Within Holy Communion are nuggets of grace galore! Grace for your health, your future, your forgiveness, your relationships, and your well being in every facet of life. We are so blessed to have so many principles from God's Word on grace, hidden within communion to remind us of His goodness and love every time we celebrate. Isaiah 3:10 says, "Say to the righteous that it shall be well with them". No matter what you're going through right now, there is one thing for sure...according to God's Word, it will end well. Pastor Joe shares from Luke 1:24 how Elizabeth hid her pregnancy for five months, then in the sixth month was visited by her cousin Mary and her secret was made known. This encounter reveals a strategic "preparation and positioning" process that believers experience when waiting to see what they have been praying for. Shame ties us to our past and sabotages God’s assignment for our lives. The answer to shame is simply Jesus. “For Christ also hath once suffered for sins, the just for the unjust, that he might bring us to God, being put to death in the flesh, but quickened by the Spirit:”. ‭‭1 Peter‬ ‭3:18‬ ‭KJV‬‬. A sense of obligation is destructive in any relationship. Pastor Joe uncovers the hidden characteristics of obligation in our interaction with God. You have to release the faith in your heart by saying words out of your mouth. Everything you receive from God comes as a result of believing and speaking the Word. We live a Word created and Word dependent life. Words of faith activate spiritual laws that are as dependable a the law of gravity! Want to hear more? Press play! Explore the seven ways that Jesus bled on the cross, and what each drop of blood did for us, in this riveting Easter Sunday message. Phil 2:3-4 says, “Let nothing be done through selfish ambition or conceit, but in lowliness of mind let each esteem others better than himself. Let each of you look out not only for his own interests, but also for the interests of others.” Pastor Joe defines self-centeredness and gives practical ways to live a life free from self-absorption, making a crisis our of everyday issues, and getting so easily offended. As a bonus, he gives seven ways a man hurts his wife without even knowing it, and seven ways a woman hurts a her husband. In Romans 5:15-17, gift mentioned five times. Pastor Joe encourages believers to learn to receive what God wants to give us in our lives. What is your response when you are given a gift? That you have to pay it back or give something in return? God wants to expand our "outside" to match the destiny that He has placed on the "inside" of each one of us. Psalm 107:1 says, "O give thanks to the Lord, for He is good and His mercy endures forever". The word "is" in this statement is the same as an "equal sign" in a mathematical equation. Therefore, you could also say "God = Good". Pastor Joe gives simple and memorable word pictures on how to lock this concept in your thinking. Do you think more about what you don't have than what you do have? Eve had the same issue. The answer? Meditate on the Word until it becomes a way of thinking. There's a difference between thinking about a scripture and a way of thinking. This teaching goes right to the heart and root of how destructive deception can be when we allow it to dominate our thoughts. Pastor Joe shares the characteristics of a covenant with God, and the elements of financial increase included in our covenant as Abraham's seed. There is one more thing that needs to be fulfilled before Jesus returns...the the supernatural transfer of wealth, a 100-fold harvest on every seed sown. Wow, what are all the funds for? To finance a move of God that will sweep the world in various ways and means. Are you ready? 2017 is the Year to Hear. According to John 10:27, God is speaking to every believer, and every believer has the ability to hear His voice. Pastor Joe sets the tone for 2017 by explaining the importance of having a listening ear, and being attentive to the voice of the Holy Spirit and the Word of God. God never intended for us to live our lives by trial and error. He sent His Holy Spirit to lead and guide us into all truth. Pastor Joe shares with believers a simple understanding of this vital tool to living a victorious life. Miracles are "the intervention of God in the regular course of nature, and always involve people". So what is our part? Pastor Joe shares four principles from Mark 5 in this practical and balanced teaching of faith and grace, and what we must do to receive what God has promised. God's love for you never changes because it's not based on what you've done or not done, it's based on what Jesus did at the cross. He's not angry at you, and disappointed or frustrated with you. His love for you is always the same, you are His beloved.